The festive season is well known as ‘the season of giving’. 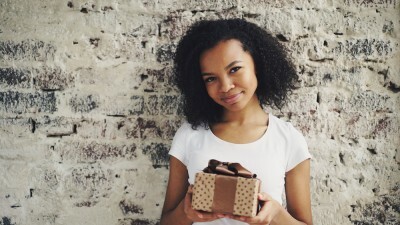 But when you think about giving back you might normally think about having to buy something or spend a lot of time and money in some way or another. However, giving back doesn’t mean that you have to spend money or feel pressured to go out of your way to do things for others. The simplest things can make a huge difference, so here are little ways you can give back this festive season without spending a cent. Do you perhaps have clothes that don’t fit you anymore or your old school uniform lying in your closet? Pack them up nicely and give them to people who need them. You can give your clothes to your family members or your community who need them more, your neighbours or even a local shelter. We all know we need to relax this holiday season but if you can volunteer at an old age home, a children’s home or a soup kitchen or an animal shelter, then it’s worth doing. You'd be surprised at how rewarding volunteering can be. Check at your nearest community based organization if there are any volunteering opportunities in your community - or any other place that is accessible to you. If you know someone that’s had a bad year, you can try to motivate them, cheer them up and give them hope for the year to come and the future. You could even write them a letter, a poem highlighting their great qualities or sharing why you appreciate them. You could also make them something or cook them something special. If you can invite your friends to come spend time with you or your family during this holiday season, then why not? You’d get to spend time with them and they’d get to have fun by spending time with you and your family members. Give people praise for what they’ve achieved or give someone a compliment, whether it’s on what they’re wearing or their new hairstyle. Having a happy energy and making people around you happy as well is part of giving. Spread the word about something you’re passionate about, especially if you have a huge following on social media. You can share a charity or non-governmental organization’s page to help create awareness for their cause. You might not be able to donate or give a helping hand but you might know someone who does. You’d also be helping the brand or company spread their message; allowing it to reach more people. You could even share a link from Make a Noise, encouraging others to make a noise about something they’re passionate about. You probably know something that someone else doesn’t, whether it’s more about maths, science (or any other subject) or more about a particular skill. Maybe you finished matric and know someone who will be going next year, you can actually help them by giving them old books or offering to tutor them in your spare time. It doesn't have to be a long lesson or long-term training if you don’t have the time - it could be as simple as sending them a link to learn something that you yourself found helpful. It could even be sharing the Choma website link to all the articles so they could also read them, or even letting them know about Ask Choma if they’re going through something. Giving back is not about what you buy. The little things you do can count. Give a helping hand, be kind and care more; get into the holiday spirit and put a smile on someone’s face Remember Choma kindness has rewards. Happy holidays!